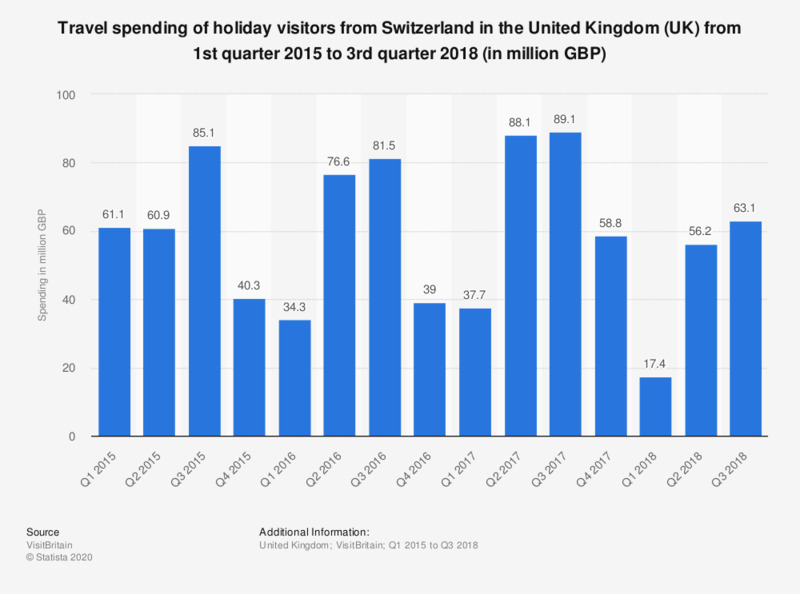 This statistic shows holiday travel spending from Switzerland in the United Kingdom (UK) from 1st quarter 2015 to 3rd quarter 2018. In 2015, holiday travel spending decreased from 61.1 million British pounds between January and March to 60.9 million British pounds between April and June. In the third quarter of 2018 the total expenditure on similar visits amounted to around 63.1 million pounds. The sample for 2018 is 95. Use this data with caution as results are indicative.